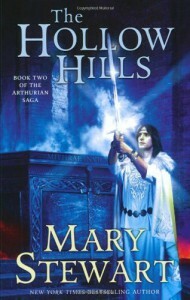 The Hollow Hills is the second book in Mary Stewart's Arthurian saga and covers the fifteen years between Arthur's birth and his acclamation as High King as experienced by Merlin, who spends much of it avoiding the limelight and traveling to Asia Minor and Constantinople. In a word, not taking a role in Arthur's life whatsoever until a few months before the boy's acclamation. Which is the primary problem. We can't engage with either the chief character of the novel or with his ostensible ward. We're observers to events that are happening far away to people we have no connection with. 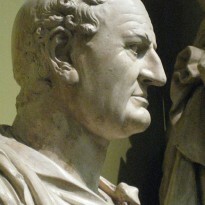 A feeling deliberately enforced by Stewart, whose Merlin consistently emphasizes his passivity (and other's) in the unfolding of events - everything that happens is the will of the God (who may manifest as the Christian God, Mithras or any other divine being) and all we can do is accept it. It drains the saga of any dramatic tension. Another distraction I found was Arthur himself. The boy is simply too good to be true. Not just in a moral sense but in all ways - he has wisdom, ability and charisma far beyond that of a fourteen-year-old boy. Which I might have accepted more readily if Stewart's retelling were more mythological/fantastical. There the "chosen one" can display all manner of miraculous abilities (i.e., Jesus' performance in the synagogue when only thirteen or Herakles' exploits in the crib). But she chose a mostly historical mode, which means - in order to accept Arthur's precosity - we need to spend more time with the boy. The feminine continues to receive shortshrift. Women are either Madonnas (Merlin's mother, Ygraine (sort of), Drusilla), whores (Morgause) or dismissed as irrelevant (Morgian). And the few allusions to a feminine divine principal suggest a blood-thirsty, savage, evil entity. So why three stars? Partly for nostalgic sentiment; a reflection from my earliest days as a serious reader and a love of the Arthur myth in pretty much any form. Another is that Stewart has an eye for colorful detail and - despite my complaints about the nature of the story - an excellent sense of pacing. We may feel like observers but we're observers of an exciting story. And then there's the notion, which I realized after finishing the novel, that the narrative's passivity is a deliberate strategy on Stewart's part and that Merlin is a most unreliable narrator. This is, after all, the purported memoirs of Merlin who lies entombed in the Crystal Cave (how we are reading them is unclear but moot). It's understandable, then, why Merlin doesn't portray himself (or any other "good" guy) as culpable for anything but rather tools of a higher purpose; and it explains why the motives of everyone else are consistently portrayed as political or military machinations to achieve simple, mundane power. It also explains the misogyny - Merlin has been terrified of women since a boy and he is brought low by a woman. Things that would color anyone's perception of females. I may be reading too much into the text but I will be heading down to the library today (July 28) to check out the third and fourth books and complete this tale left unfinished from my youth.